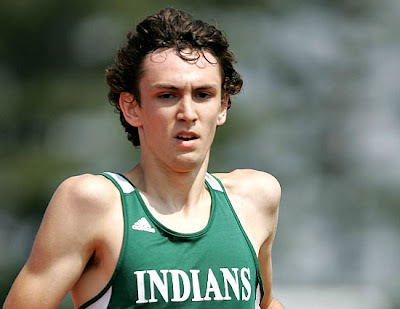 Marcus O'Sullivan has been recruiting Hillsdale, NJ's Ben Malone, the 2012 US prep indoor 800 meter champion (see video, above), steadily for two years, hoping to entice the talented middle distance runner to compete for Villanova. That effort seems to have yielded some benefits, as Malone has narrowed his college choice to two schools: Villanova and Georgetown. As the article below chronicles (and as Malone's accolades listed below confirm), Malone's signing at Villanova would further bolster the excellent recruiting classes of the past few year and would make Villanova's superb middle distance ranks that much more formidable. As he states in the article, Malone wants to make his decision sooner rather than later, so this situation is certainly one to keep an eye on. 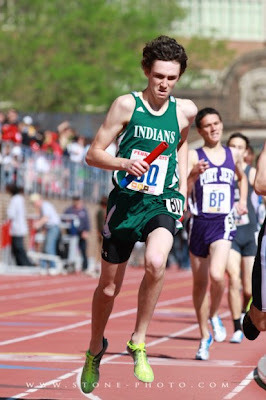 Malone's Mile Split page is HERE. Two weeks ago Ben Malone took his official visit to Villanova. Last week he returned from his official visit to Georgetown. And even though the NCAA allows up to five paid recruiting visits for Division I athletes, Malone, one of the most highly recruited boys middle-distance runners in the country, now will decide between two of the country’s most traditional track powers, eschewing the chance for visits to places like Oregon, Virginia and Notre Dame, among the dozens of schools to show interest. Though he has chosen to limit his official trips, Malone had made unofficial visits to Penn State, Princeton and Villanova, and fielded dozens of phone calls and texts from other coaches in a process that started two years ago after a sensational sophomore season. “I felt bad about talking to coaches at schools I had no intention of going to,” said Malone, last year’s state champion at 1,600 meters indoors and 800 outdoors. Malone first met Villanova coach Marcus O’Sullivan at the Colonial Relays at William & Mary two years ago on a family trip. And Georgetown came into the picture in part because of a friendship he had with Hoya freshman Ahmed Bile, developed when both ran in major invitational races while Bile was in high school. Malone thinks the decision ultimately will be made on a “gut” feeling, although he has checked out the athletes, coaches, classes and dorms as well as the overall atmosphere. “I think I’ll just know which one is the right one for me,” said Malone, whose parents have told him it’s his decision, even though both have their favorites. “I’ve also spoken to a lot of people who know both places and those discussions have helped me a lot,” said Malone, who’ll open his cross-country season Saturday with the Shore Invitational “C” race at Holmdel.